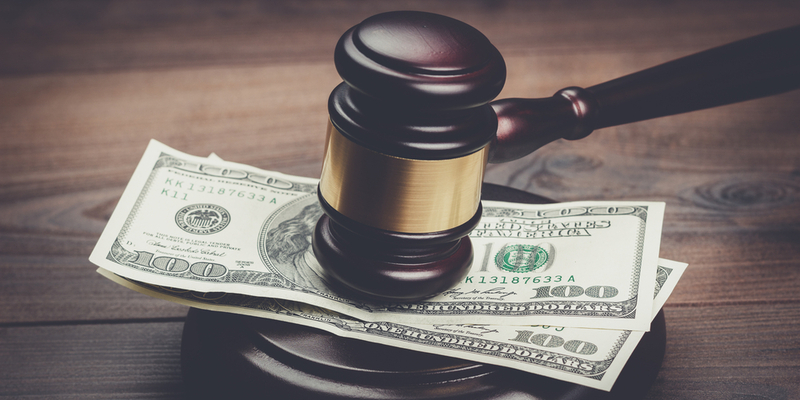 The National Juvenile Defender Center (NJDC) is launching a project with its partners to address the use of cash bail in juvenile courts and ensure that children’s liberty interests are secured. In certain states and U.S. territories, after an arrest — wrongful or not — a child’s ability to go home depends on their ability to post bail. 19 states and U.S. territories have statutes or court rules that expressly allow for the use of bail with children in juvenile courts. 9 states and U.S. territories expressly prohibit the use of bail in juvenile court by statute or court rule. 28 states and territories neither authorize nor prohibit the use of bail in juvenile court by statute or court rule. In the coming months, NJDC will be releasing a national snapshot on the current policies and practices related to juvenile cash bail across the country. Below, the interactive map provides additional information on state and U.S. territory laws related to juvenile cash bail. The sole purpose of cash bail in the legal system is to ensure that an accused person appears in court; not to keep them locked up. The United States Supreme Court ruled in Stack v. Boyle, 342 U.S. 1 (1951), that bail proceedings should be used to keep people out of jail until a trial has found them guilty, rather than to keep people in jail until it is convenient to give them a trial. Allowing a child or young person to remain out of detention affords them the opportunity to assist in their defense through the identification of evidence and witnesses and without barriers of access to their legal counsel. When the bail amount is set at a figure higher than reasonably calculated to ensure the person’s presence in court, it violates the 8th Amendment of the U.S. Constitution. Allowing a child or young person to remain out of detention prior to trial safeguards their right to liberty and the presumption of innocence. 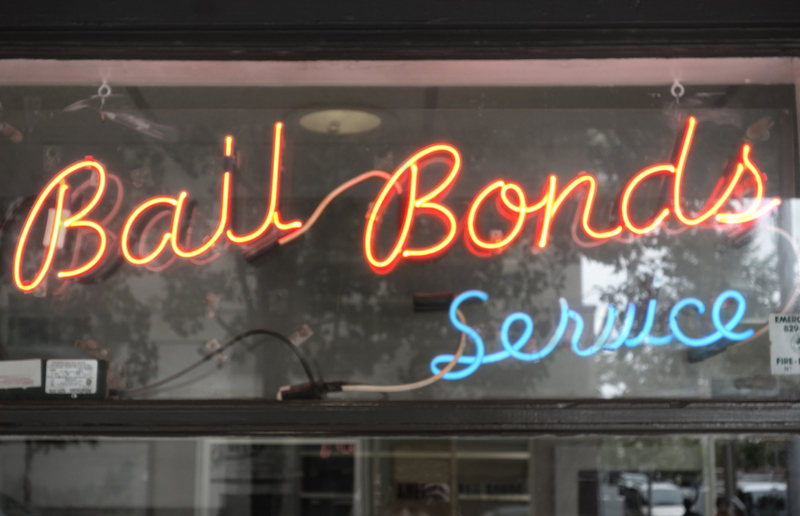 The national dialogue on the unjust nature of cash bail in the adult criminal legal system and the strong movement for reform has largely neglected to shine a light on the use of cash bail in juvenile delinquency proceedings. Very little, if anything, has been written on state laws governing bail in delinquency proceedings and even less is known about how such laws are put into practice at the local level or how cash bail affects youth and their families in the juvenile system. Bail reform efforts must examine and address how state laws governing bail for children have been put into practice and how those practices impact youth and their families. 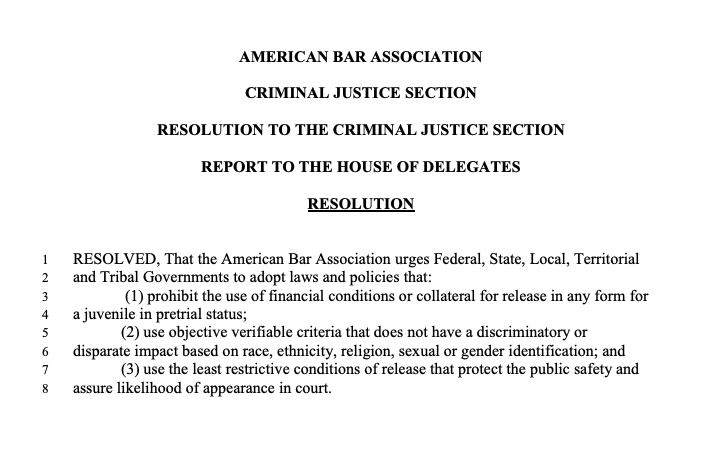 Read the ABA’s resolution and report against the use of bail with children.